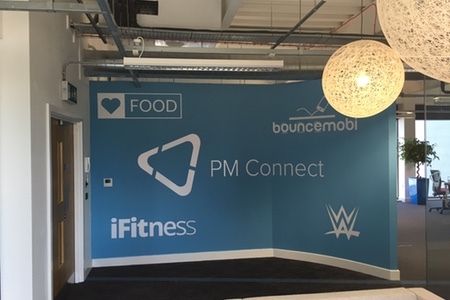 PM Connect were expanding rapidly and growing their client base for Interactive mobile content. 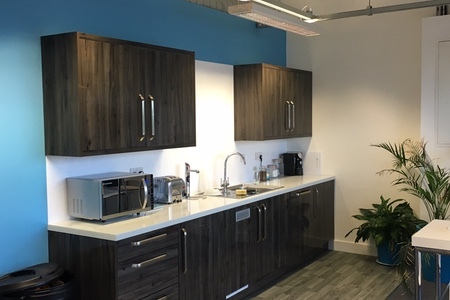 This required moving to a new office which would allow for future expansion, and promote their Brand and their client’s brands in the new workspace. 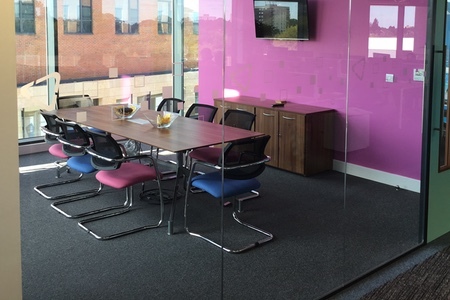 Having initial meetings and discussions with James Macfarlane the MD the brief was established and a full understanding gained of their aspirations and requirements, and taking into account the Industrial “feel” of the office space. 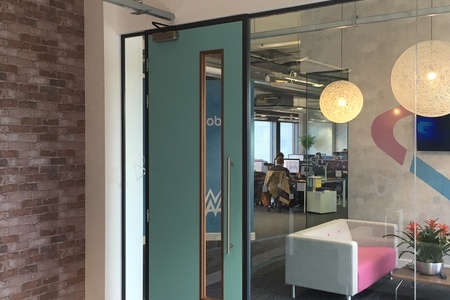 Space planning and a series of Visuals/Renders were provided with a particular focus on the PM Brand, and client’s brands to create a new vibrant modern office space with collaborative and meeting areas, including an X Box room. 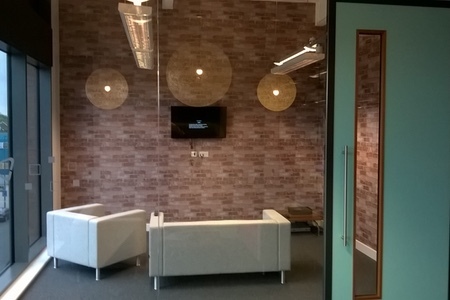 M&E and Data works, lighting, electrics, decoration, feature bespoke wallpapers and lighting. 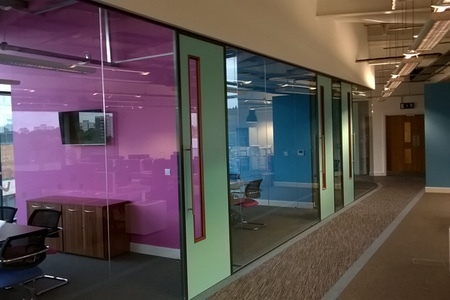 Partitioning, kitchen, carpet and flooring. Furniture.